When I first started Music City Underground, Hayes from the KY was one of the first artists to reach out with positivity, but I was reluctant to feature him due to his location, but after running into him at Joe Dirt’s studio and listening to his debut tape, I quickly realized that even though he was ninety minutes from the city, he was very close as far as talent goes. The title of the project is “The Ballad of Dale Burnhard,” and at first I thought that was incredibly corny, but considering his personality and the overall stereotype attributed to not only his home state, but also this region of America, I now find the title hilarious. The production is varied, but Joe Dirt contributes as an engineer or the main producer on every track, and does a fantastic job as usual. The tape starts off slow. Most of the project is two different Hayes. Initially, “Move,” is incredibly annoying. It has its moments, but is so repetitive that it is nearly impossible to skip. The cadence on the hook rarely changes, so a solid, even catchy, hook quickly gets old. But here’s the dichotomy of Hayes, the second track is phenomenal. I quickly recognized the “Midnight Train” beat pack from a Nyck Caution song from like 2014. This song is very, very good. The hook is clever and very catchy, and he avoids the repetitiveness of the aforementioned track by switching flows, as well as utilizing autotune. It is hard to have a poor track on a beat that hard. Big shoutout to Flexlord Shawty. I would categorize Hayes in less of the BukuSteez melodic lane, but almost in a 2015 Carti autotune mumble rap range. I wouldn’t have pegged the style as that initially, but after a listen it is very clear that Hayes is a totally different animal. Hayes has a knack for hooks, as nearly every one on the tape slaps. There is infinite potential in this area. It feels like when Hayes lets things come naturally, and doesn’t press too hard, his music is infinitely better. You can feel how comfortable he was on his better tracks, but it is very obvious when he pushed too hard to seem cool or fit into whatever “lanes” are present. It is very hit or miss with Hayes from the KY, but with some fine tuning, he could be a major player. Considering this is his first full length project, I wouldn’t say he has anything to worry about. I have to say that I was pleasantly surprised that rapping about the state of Kentucky wasn’t corny at all. Hayes is very underrated in his wordplay. It is consistent and subtly clever, and I am looking forward to seeing his continued development in this area. “Middle of the Summer,” is by far my favorite song from the tape. It was far and away the most heartfelt track, and offered a close look at the artist, his struggles and his journey to where he is now. I think Hayes has a tremendous amount of potential, but this tape was very streaky. Certain songs were ones I continued playing well after my first listen, and others were skipped after one minute. But don’t write him off. I know potential when I see it, and Hayes has a chance to make a big splash in this game. 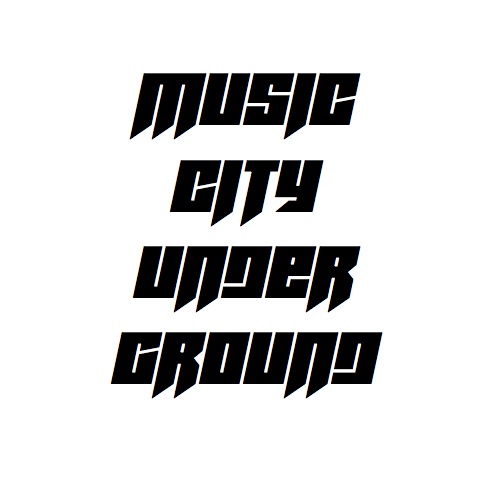 Next PostNext One Year of Music City Underground. One Year of Great Music.